On the eve of the 2014 IPCPR Trade Show, Espinosa Cigars announced a new line of cigars called the Espinosa Laranja Reserva. The Laranja Reserva incorporates a Brazlian wrapper – a first for a regular Espinosa Cigars release. The wrapper is not a mainstream Brazlian one. It comes from the Recôncavo region of Brazil located in the Bahia State. The wrapper is called Brazlian Laranja. Laranja is the Portuguese word for “orange” and the name is derived from the orange tint this wrapper has. 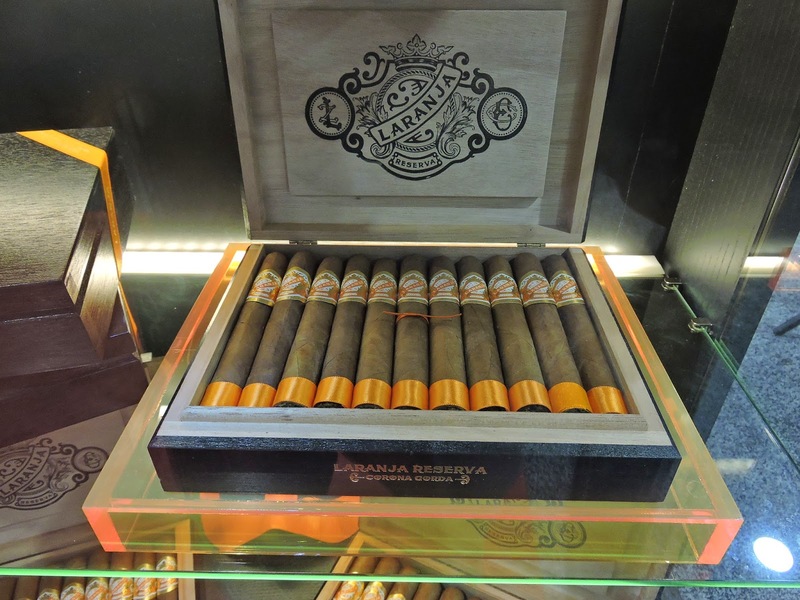 Shortly after the Trade Show, the Espinosa Laranja Reserva cigars made it to retail shops. 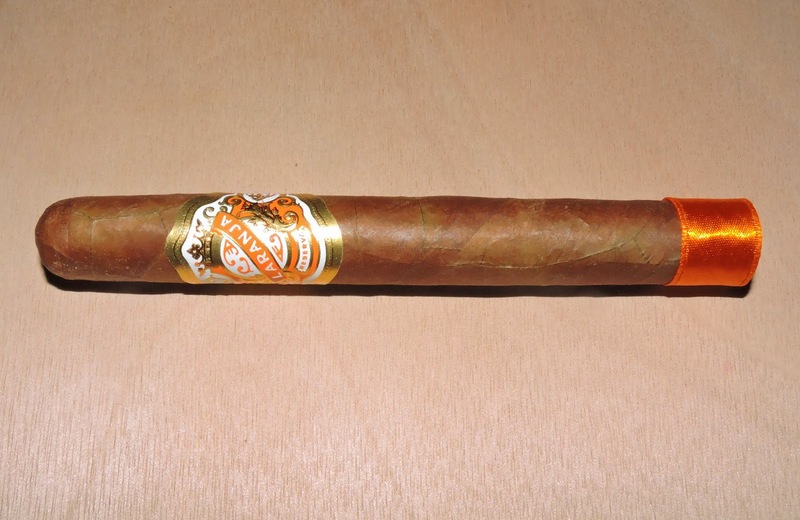 Recently I have had an opportunity to smoke the Laranja Reserva in the Corona Gorda vitola. Espinosa Cigars has been making some outstanding cigars and the Laranja Reserva is poised to continue this track record of excellence. Without further ado, let’s break down the Espinosa Laranja Reserva in the Corona Gorda format and see what this cigar brings to the table. The Espinosa Laranja Reserva also incorporates Nicaraguan tobacco for the binder and filler. The cigar is made at Espinosa’s La Zona factory in Esteli, Nicaragua. The Espinosa Laranja Reserva comes in three sizes. Each size is packaged in 20 count cedar boxes. As mentioned the Laranja Reserva has a orange tint to it. This orange tint is combined with a medium brown wrapper to provide a unique presentation of the wrapper. The wrapper itself was on the oily side. There are some visible veins, but overall the wrapper seams are well hidden. The band follows suit with the theme of orange. It has a orange, white and gold color scheme. The design of the band resembles a shield with a gold crown on it. There is an orange ribbon design going across the shield diagonally with the text “LARANJA” in white font. On the lower part of the band, here is a white wedge-design with the text “RESERVA” in small white font. There are also adornments reminiscent of the La Zona and Espinosa logos to the left and right. There is an orange ribbon on the footer as well. Prior to lighting my Espinosa Laranja Reserva Corona Gorda, I went with a straight cut to remove the cap. Once the cap was successfully clipped I moved on to the pre-light draw phase. The dry draw provided a mix earth, orange peel, and a slight spice. I wondered if the theme of orange led to the power of suggestion in terms of detecting orange notes – yet I was confident this was a flavor I was picking up. Overall I considered the pre-light draw of the Laranja Reserva Corona Gorda to be excellent. At this point I was ready to light up this cigar and see what the smoking phase would have in store. The start to the Espinosa Laranja Reserva Corona Gorda delivered a short, but moderate blast of white pepper. Once the pepper subsided, notes of orange citrus emerged. Again, I was wondering if the power of suggestion was at play here, yet I was confident this was a flavor in play. The white pepper subsided into the background and was joined by notes of earth and cream. Meanwhile the white pepper was prominent on the retro-hale and at times it was on the sharp side. Later in the first third, the orange citrus flavor was still prominent. There were some slight changes in the background. There was now a nut flavor that surfaced in the background. The white pepper was now taking on some red pepper qualities on the tongue (but still remained more of a white pepper on the retro-hale). The earth and cream notes still remained in the background. At the start of the second half, the nut flavors moved into the forefront and were joined by some notes of natural tobacco. The orange flavors were now floating between the forefront and background. The earth, pepper, and cream notes were still secondary ones. By the last third, the Laranja Reserva got more spicy with the pepper notes taking over. The nut, natural tobacco, and orange notes were now the secondary notes. The creamy notes had now secondary. This is the way the flavor profile held until the end. The resulting nub was soft to the touch and slightly lukewarm in temperature. The burn line to the Espinosa Laranja Reserva Corona Gorda had some jaggedness to it. The burn itself kept relatively on a straight path and the cigar was not in danger of canoeing or tunneling. The resulting ash was mostly white in color with some darker streaks mixed it. The ash was on the firm side and came off the cigar in nice clean junks. The burn rate and burn temperature were ideal. The draw was excellent to the Laranja Reserva Corona Gorda. It had a touch of resistance – which is something I like. This made the Laranja Reserva a pleasure to smoke from start to finish. From a strength perspective, the Espinosa Laranja Reserva Corona Gorda started out as a medium strength cigar. The strength gradually increased and by the last third, this cigar was operating at medium to full strength. In terms of body, I found the Laranja Reserva started out as a medium to full-bodied smoke. The body also increased and by the last third, this is smoking as a full-bodied smoke. Overall when it came to strength versus body, I found the Laranja Reserva to be a cigar where the body had the edge. There are three observations I have on this cigar. First is that this a cigar that has seemed to have aged well. From the pre-releases and the time the Laranja Reserva hit the shelves to the time that this cigar was assessed, this is a cigar that has improved over time. It has developed a nice sweetness and the age has allowed the complexity of this cigar to shine. At the same time, the age has tempered the strength and body in a more positive way. Secondly, the Corona Gorda format really works well with this cigar. Third, I still wondered if I was influenced by the power of suggestion with the orange notes even after I finished smoking this cigar. Overall this was an enjoyable cigar. I’d gear this more toward the experienced cigar enthusiast, but wouldn’t discourage a novice from trying. As for myself, this is a cigar I’d smoke again. It’s an interesting and different smoke. There are a lot of intangibles with this cigar and I found it to be a great change of pace cigar. It’s one that is worth a box split in my book. The Laranja is quickly becoming my go to cigar . The only problem is enjoy them too much. It is a treat to find a new cigar that you enjoy. It is akin to finding buried treasure.